Copyright 1997-2014, Theo de Raadt. 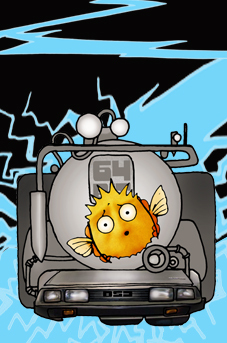 5.5 Song: "Wrap in Time"
Go to the pub/OpenBSD/5.5/ directory on one of the mirror sites. Have a look at the 5.5 errata page for a list of bugs and workarounds. See a detailed log of changes between the 5.4 and 5.5 releases. This is a partial list of new features and systems included in OpenBSD 5.5. For a comprehensive list, see the changelog leading to 5.5.
time_t is now 64 bits on all platforms. From OpenBSD 5.5 onwards, OpenBSD is year 2038 ready and will run well beyond Tue Jan 19 03:14:07 2038 UTC. The entire source tree (kernel, libraries, and userland programs) has been carefully and comprehensively audited to support 64-bit time_t. Userland programs that were changed include arp(8), bgpd(8), calendar(8), cron(8), find(1), fsck_ffs(8), ifconfig(8), ksh(1), ld(1), ld.so(1), netstat(1), pfctl(8), ping(8), rtadvd(8), ssh(1), tar(1), tmux(1), top(1), and many others, including games! Removed time_t from network, on-disk, and database formats. Removed as many (time_t) casts as possible. Format strings were converted to use %lld and (long long) casts. Uses of timeval were converted to timespec where possible. Parts of the system that could not use 64-bit time_t were converted to use unsigned 32-bit instead, so they are good till the year 2106. Numerous ports throughout the ports tree received time_t fixes. Releases and packages are now cryptographically signed with the signify(1) utility. The installer will verify all sets before installing. Installing without verification works, but is discouraged. Users are advised to verify the installer (bsd.rd, install55.iso, etc.) ahead of time using the signify(1) tool if available. pkg_add(1) now only trusts signed packages by default. The installer now supports a scriptable auto-installation method that enables unattended installation and upgrades using a response file. Disk images which can be written to a USB flash drive (miniroot55.fs [bsd.rd only] and install55.fs [bsd.rd + unsigned sets]) are now provided for amd64 and i386. Rewritten installboot(8) utility aiming for a unified implementation across platforms (currently used by amd64 and i386 only). The installer now parses nwids with embedded blanks correctly. First self-hosting release for 88100-based AViiON systems. New vmx(4) driver for VMware VMXNET3 Virtual Interface Controller devices. New vmwpvs(4) driver for VMware Paravirtual SCSI. New vioscsi(4) driver for VirtIO SCSI adapters. New viornd(4) driver for VirtIO random number devices. New ubcmtp(4) driver for Broadcom multi-touch trackpads found on newer Apple MacBook, MacBook Pro, and MacBook Air laptops. New ugold(4) driver for TEMPer gold HID thermometers. New ugl(4) driver for Genesys Logic based USB host-to-host adapters. New qle(4) driver for QLogic Fibre Channel HBAs. New port of the Radeon code in Linux 3.8.13.19. Support for Kernel Mode Setting (KMS) including support for additional output types such as DisplayPort. wsdisplay(4) now attaches to radeondrm(4) and provides a framebuffer console. inteldrm(4) has been updated to Linux 3.8.13.19 notably bringing Haswell stability fixes. Support for Intel 8 Series Ethernet with i217/i218 PHYs, and i210/i211/i354 has been added to em(4). Support for Intel Centrino Wireless-N 2200, 2230 and 105/135 has been added to iwn(4). Support for Areca ARC-1880, ARC-1882, ARC-1883, ARC-1223, ARC-1214, ARC-1264, and ARC-1284 has been added to arc(4). Support for Elantech v2 touchpads in pms(4) has been fixed. Support for 802.11a (5Ghz) has been added to wpi(4). Workarounds for firmware stability issues have been added to wpi(4), iwi(4), and iwn(4). Support for RT3572 chips has been added to the ral(4) driver. Support for RTL8106E chips has been added to the re(4) driver. Support for RTS5229 card readers has been added to rtsx(4). Support for Microsoft XBox 360 controllers has been added to the uhid(4) driver. Support for CoreChip RD9700 USB Ethernet devices has been added to the udav(4) driver. Further reliability improvements regarding suspend/resume and hibernation. Enabled IPv6 transmit TCP/UDP checksum offload in jme(4). Added vxlan(4), a virtual extensible local area network tunnel interface. pflow(4) now sends 64 bit time values for pflowproto 10. The changed templates / flows for pflowproto 10 are now parsable by existing receivers. Continued improvement of the checksum offload framework to streamline the calculation of TCP, UDP, ICMP, and ICMPv6 checksums. Enabled IPv6 routing domain support. The popa3d POP3 server has been removed. Added ntpctl(8), a program to control the Network Time Protocol daemon. slowcgi(8) now works with a high number of concurrent connections. The inetd-based identd has been replaced by a new libevent-based identd(8). tcpdump(8) can now detect bad ICMP and ICMPv6 checksums when used with the -v flag. Added rdomain support to IPv6 configuration tools ndp(8), rtsold(8), ping6(8), and traceroute6(8). Added SNMPv2 client support to snmpctl(8) ("get", "walk", and "bulkwalk"). relayd(8) now supports TLS Perfect Forward Secrecy (PFS) with ECDHE (Elliptic curve Diffie-Hellman) that is enabled by default. New queueing system with new syntax. The "received-on" parameter can now be used with the "any" keyword to match any existing interface except loopback ones. The block policy in the default pf.conf(5) is now "block return". No longer create a route to the bound address via 127.0.0.1. The options 'dhcp-lease-time', 'dhcp-rebinding-time', and 'dhcp-renewal-time' can now be configured in dhclient.conf(5). 'next-server' (a.k.a. siaddr) info now saved in lease files. Fall back to broadcasting when unicast renewal fails, as specified in RFC 2131 and friends. Fix various problems in communications between privileged and non-privileged processes. Fix many abuses of memcpy. Stop pretending we still support FDDI or token ring hardware types. Fix classless static routes option handling and add syntax to parse human-readable forms. Fix 'effective' lease created by '-L' to have correct address, 'next_server', 'timestamp', and 'resolv_conf' fields. Fix handling of non-printable characters in lease file strings. Fix many edge cases in config file and lease parsing and ensure that error messages refer to the correct position in erroneous line. dhclient.conf(5) can now override anything in an offer or saved lease when creating the effective lease. In particular, 'fixed-address', 'next-server', 'filename' and 'server-name'. Fix parsing of dhclient.conf(5) statements 'fixed-address' and 'next-server'. Log failures to fchmod() or fchown() files being written. Create lease files with permissions 0640. Fix possible failure to write resolv.conf(5) when -L is used. 'send dhcp-client-identifier "";' in dhclient.conf(5) will result in no 'dhcp-client-identifier' (option 61) being sent. Support for OCSP ("Online Certificate Status Protocol"); enable with "set ocsp URL". Support for RSA public key authentication as an alternative to X.509 certificates or pre-shared keys. Support for DPD ("Dead Peer Detection") similar to the implementation in isakmpd(8). Support for dynamic IP address assignment from a pool in configuration mode; enabled with "config address net/pool-prefix". Various improvements and a thorough audit of the network input path. smtp process returns Enhanced Status Codes for most commands. ... which will be improved further with each version. Can now pause/resume a source address -> destination domain route. Can now display status of processes with smtpctl show status. show relays: displays list of currently active relays. show routes: displays status of routes currently known by smtpd. show hosts: displays list of known remote MX. show hoststats: display status of last delivery for active domains. resume route: resumes route temporarily disable by the MTA. pause/resume envelope: allows pausing individual envelopes. pause/resume message: allows pausing individual messages. encrypt: allows generating credentials suitable for authentication. show message/envelope is now compression/encryption aware. Removed last known ambiguity in grammar. Much simpler configuration for TLS-enabled hosts. Most parameters are now swappable in listen and accept rules. Forward-only rules can be declared to impose ~/.forward files. New "recipient" keyword allows accept rule to provide a whitelist. Sender and recipient tables accept wildcard in their domains. Support for TLS Perfect Forward Secrecy. Support for providing custom CA certificates. mta may now require remote hosts to present valid certificates. Always attempt TLS before falling back to plaintext. Always present certificate if one is available. MTA can now specify a EHLO-hostname when relaying. IPv4-only and IPv6-only listeners are now possible. Listeners may now hide the From part in a Received-line. Listeners may require clients to provide a valid certificate. Banner hostname can now be dynamically fetched from a table. Introduce an envelope cache in the queue to improve disk-IO pattern. table(5) describes format for static, file and db backends. sendmail(8) describes our "sendmail" interface. Reduced memory usage in both general and stressed cases. OpenSMTPD now automagically upgrades queue if the format changes! Support for authenticating users from a credentials table. Introduce passwd(5) table backend for user and credentials lookup. Expansion variables in ~/.forward now support modifiers. Many documentation fixes and improvements. And a lot of minor bug fixes and internal cleanup! Position-independent executables (PIE) are now used by default on i386. The arc4random(3) functions now use the ChaCha20 cipher. The kernel random number system is initially seeded by the bootloader, providing better random very early. Kernel stack protector is also seeded via the same mechanism, providing protection earlier. -Wbounded is now enabled in GCC by default. Relations between the buffer cache and swap daemon have been improved. Running threaded processes under a debugger no longer causes panics. SIGPROF and SIGVTALRM are now reliably delivered to the thread that was running when they were triggered. Thread stacks now have a random bias. fork(2) no longer changes the pthread_t of the forking thread in the child. Signaling races eliminated from pthread_kill(3) and pthread_cancel(3). New in-memory file system, tmpfs. Many fuse(4) improvements and stability fixes. OpenBSD/vax has switched to GCC 3. Replaced getdirentries(2) with getdents(2), vastly improving the performance and memory usage of telldir(3). amd64 and i386 now use the MWAIT instruction for their idle loop where available to reduce latency. clock_t is now a 64 bit type, so it no longer wraps around in only 248 days. ino_t is now a 64 bit type, mostly to support large NFS filesystems. pax(1) now sets the mode and timestamps correctly on symlinks, and makes hardlinks to symlinks when requested. Corrected handling of shared library destructors when libc is statically linked. Corrected various disk drivers to handle non-512-byte sectors and disk sizes greater than 32-bits. Corrected growfs(8) to handle non-512-byte sectors and disk sizes greater than 32-bits. All CIRCLEQ uses replaced with TAILQ. Preserve and honour changes to the OpenBSD bounds in a disklabel. fdisk(8) now always writes a good signature when the MBR is written to disk. disklabel(8) now writes the disklabel to the correct location on non-512-byte sector devices. Fix athn(4) tick calculations to eliminate excessive timeouts. Allow disklabel(8) to set any partition, including 'C', to type UNUSED. New sha512(1) tool to calculate and verify the SHA-512 checksums of files. sha256(1) and related tools (cksum(1), md5(1), sha1(1), and sha512(1)) now support a new -h flag to place the checksum into a specified hash file instead of stdout. sha256(1) and related tools now support a new -C flag that allows the verification of selected files in a checklist. sha256(1) and related tools will now print MISSING if they encounter non-existent files in a checklist. i386 and amd64 platforms can now boot from keydisk-based softraid(4) crypto volumes. Allow softraid(4) to work with partitions larger than 2TB. Removed experimental RAID 4 support from softraid(4). Added experimental support for rebuilding RAID 5 softraid(4) volumes. Lots of testing is still required and there is missing functionality, such as the ability to resume a partially completed rebuild. bioctl(8) refuses to create RAID 5 volumes unless recompiled with -DRAID5. The uhts(4) driver has been merged into ums(4). Many new checks were added to portcheck(1) utility; now it catches almost every popular mistake that observed in ports in last years. sshd(8): when using environment passing with a sshd_config(5) AcceptEnv pattern with a wildcard. OpenSSH prior to 6.6 could be tricked into accepting any enviornment variable that contains the characters before the wildcard character. ssh(1), sshd(8): Add support for key exchange using elliptic-curve Diffie Hellman in Daniel Bernstein's Curve25519. This key exchange method is the default when both the client and server support it. ssh(1), sshd(8): Add support for ED25519 as a public key type. ED25519 is a elliptic curve signature scheme that offers better security than ECDSA and DSA and good performance. It may be used for both user and host keys. Add a new private key format that uses a bcrypt KDF to better protect keys at rest. This format is used unconditionally for ED25519 keys, but may be requested when generating or saving existing keys of other types via the -o ssh-keygen(1) option. We intend to make the new format the default in the near future. Details of the new format are in the PROTOCOL.key file. ssh(1), sshd(8): Add a new transport cipher "chacha20-poly1305@openssh.com" that combines Daniel Bernstein's ChaCha20 stream cipher and Poly1305 MAC to build an authenticated encryption mode. Details are in the PROTOCOL.chacha20poly1305 file. ssh(1), sshd(8): Refuse RSA keys from old proprietary clients and servers that use the obsolete RSA+MD5 signature scheme. It will still be possible to connect with these clients/servers but only DSA keys will be accepted, and OpenSSH will refuse connection entirely in a future release. ssh(1), sshd(8): Refuse old proprietary clients and servers that use a weaker key exchange hash calculation. ssh(1): Increase the size of the Diffie-Hellman groups requested for each symmetric key size. New values from NIST Special Publication 800-57 with the upper limit specified by RFC 4419.
ssh(1): Add a ssh_config(5) Match keyword that allows conditional configuration to be applied by matching on hostname, user and result of arbitrary commands. ssh(1): Add support for client-side hostname canonicalisation using a set of DNS suffixes and rules in ssh_config(5). This allows unqualified names to be canonicalised to fully-qualified domain names to eliminate ambiguity when looking up keys in known_hosts or checking host certificate names. sftp-server(8): Add the ability to whitelist and/or blacklist sftp protocol requests by name. sftp-server(8): Add a sftp "fsync@openssh.com" to support calling fsync(2) on an open file handle. sshd(8): Add a ssh_config(5) PermitTTY to disallow TTY allocation, mirroring the longstanding no-pty authorized_keys option. ssh(1): Add a ssh_config(5) ProxyUseFDPass option that supports the use of ProxyCommands that establish a connection and then pass a connected file descriptor back to ssh(1). This allows the ProxyCommand to exit rather than staying around to transfer data. ssh(1), sshd(8): this release removes the J-PAKE authentication code. This code was experimental, never enabled and had been unmaintained for some time. ssh(1): when processing Match blocks, skip 'exec' clauses other clauses predicates failed to match. ssh(1): if hostname canonicalisation is enabled and results in the destination hostname being changed, then re-parse ssh_config(5) files using the new destination hostname. This gives 'Host' and 'Match' directives that use the expanded hostname a chance to be applied. ssh(1), sshd(8): Fix potential stack exhaustion caused by nested certificates. ssh-keygen(1): Make relative-specified certificate expiry times relative to current time and not the validity start time. sshd(8): Improve logging of sessions to include the user name, remote host and port, the session type (shell, command, etc.) and allocated TTY (if any). sshd(8): allow the shutdown(2) syscall in seccomp-bpf and systrace sandbox modes, as it is reachable if the connection is terminated during the pre-auth phase. ssh(1), sshd(8): fix unsigned overflow that in SSH protocol 1 bignum parsing. Minimum key length checks render this bug unexploitable to compromise SSH 1 sessions. ssh(1): fix possible crashes in SOCKS4 parsing caused by assumption that the SOCKS username is nul-terminated. ssh(1): fix regression for UsePrivilegedPort=yes when BindAddress is not specified. ssh(1), sshd(8): fix memory leak in ECDSA signature verification. Major overhaul of the package tools, resulting in much better memory usage. The build process now allows some limited capability for building conflicting packages, yielding KDE 4 packages as a result, along with KDE 3 ones. Play with your BIOS options to enable booting from a CD. The OpenBSD/i386 release is on CD1. If your BIOS does not support booting from CD, you will need to create a boot floppy to install from. To create a boot floppy write CD1:5.5/i386/floppy55.fs to a floppy and boot via the floppy drive. Use CD1:5.5/i386/floppyB55.fs instead for greater SCSI controller support, or CD1:5.5/i386/floppyC55.fs for better laptop support. If your machine can boot from USB, you can write install55.fs or miniroot55.fs to a USB stick and boot from it. If you can't boot from a CD, floppy disk, or USB, you can install across the network using PXE as described in the included INSTALL.i386 document. To make a boot floppy under MS-DOS, use the "rawrite" utility located at CD1:5.5/tools/rawrite.exe. To make the boot floppy under a Unix OS, use the dd(1) utility. The following is an example usage of dd(1), where the device could be "floppy", "rfd0c", or "rfd0a". The 5.5 release of OpenBSD/amd64 is located on CD2. Boot from the CD to begin the install - you may need to adjust your BIOS options first. If you can't boot from the CD, you can create a boot floppy to install from. To do this, write CD2:5.5/amd64/floppy55.fs to a floppy, then boot from the floppy drive. If you can't boot from a CD, floppy disk, or USB, you can install across the network using PXE as described in the included INSTALL.amd64 document. Burn the image from the FTP site to a CDROM, and power on your machine while holding down the C key until the display turns on and shows OpenBSD/macppc boot. If this doesn't work, or if you don't have a CDROM drive, you can write CD3:5.5/sparc64/floppy55.fs or CD3:5.5/sparc64/floppyB55.fs (depending on your machine) to a floppy and boot it with boot floppy. Refer to INSTALL.sparc64 for details. You can also write CD3:5.5/sparc64/miniroot55.fs to the swap partition on the disk and boot with boot disk:b. Write FTP:5.5/alpha/floppy55.fs or FTP:5.5/alpha/floppyB55.fs (depending on your machine) to a diskette and enter boot dva0. Refer to INSTALL.alpha for more details. Write miniroot55.fs to the start of the CF or disk, and boot normally. Write miniroot55.fs to a USB stick and boot bsd.rd from it or boot bsd.rd via tftp. Refer to the instructions in INSTALL.loongson for more details. Copy `boot' and `bsd.rd' to a Mach or UniOS partition, and boot the bootloader from the PROM, and the bsd.rd from the bootloader. Refer to the instructions in INSTALL.luna88k for more details. After connecting a serial port, boot bsd.rd over the network via DHCP/tftp. Refer to the instructions in INSTALL.octeon for more details. To install, burn cd55.iso on a CD-R, put it in the CD drive of your machine and select Install System Software from the System Maintenance menu. Indigo/Indy/Indigo2 (R4000) systems will not boot automatically from CD-ROM, and need a proper invocation from the PROM prompt. Refer to the instructions in INSTALL.sgi for more details. If your machine doesn't have a CD drive, you can setup a DHCP/tftp network server, and boot using "bootp()/bsd.rd.IP##" using the kernel matching your system type. Refer to the instructions in INSTALL.sgi for more details. If your SPARC system does not have a CD drive, you can alternatively boot from floppy. To do so you need to write floppy55.fs to a floppy. For more information see this page. To boot from the floppy use one of the two commands listed below, depending on the version of your ROM. Using the Linux built-in graphical ipkg installer, install the openbsd55_arm.ipk package. Reboot, then run it. Read INSTALL.zaurus for a few important details. If you already have an OpenBSD 5.4 system, and do not want to reinstall, upgrade instructions and advice can be found in the Upgrade Guide. Note that most ports are available as packages through FTP. Updated packages for the 5.5 release will be made available if problems arise.